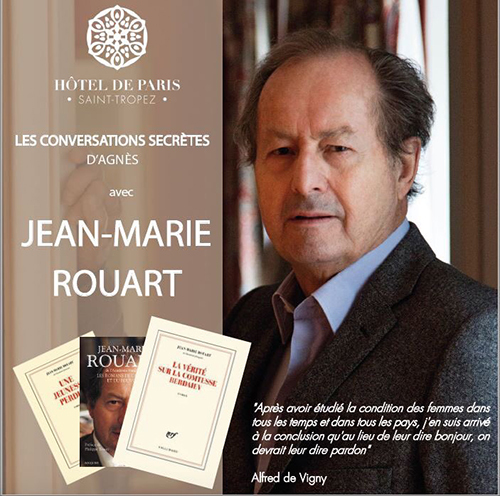 Jean-Marie Rouart: 1rst guest of the 2018 season of "Conversations Secrètes d’Agnès" at L’Hôtel de Paris of Saint-Tropez. Starts on Saturday, March 24 at 19:30 for the public interview, followed by a cocktail. Thème "Des russes blancs à Jean d'Ormesson".